Bike repairs – Clothes Swap – Household Repairs – Food and more. Come & challenge Brian – one of our Repairer’s – can you bring him a household item that he’s never fixed before?! The Kindle’s Knit & Stitch team will be on hand to help with clothing and textile repairs. Do you have a ‘make do and mend’ skill you can share on any of the days? Please get in touch with what you’re able to do and what you’d need from us – resources, fee etc. Kid’s Kitchen will be there to cook with the kids and Growing Local will be preparing & sharing a community meal. 10-11am Drop off the clothes you don’t want & collect your tokens (max. 10 items per person). PLEASE NOTE – We will only accept clothes that are in good, clean condition. We will NOT accept shoes, socks, nightwear, babygros, underwear, hats, scarves, gloves. The Clothes Swap normally has a good selection of children’s, men’s and women’s clothing, which will be sorted into separate sections. 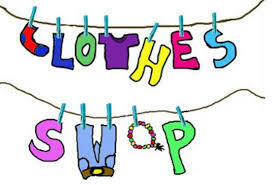 Any queries about the Clothes Swap, contact Averil: averil@brightspacefoundation.org.uk. A similar event is also scheduled for 13 October 2018 to celebrate h.Energy weekend! Thanks to the Big Lottery funding for helping to make this possible and our lovely partners The Kindle Centre and Brightspace.